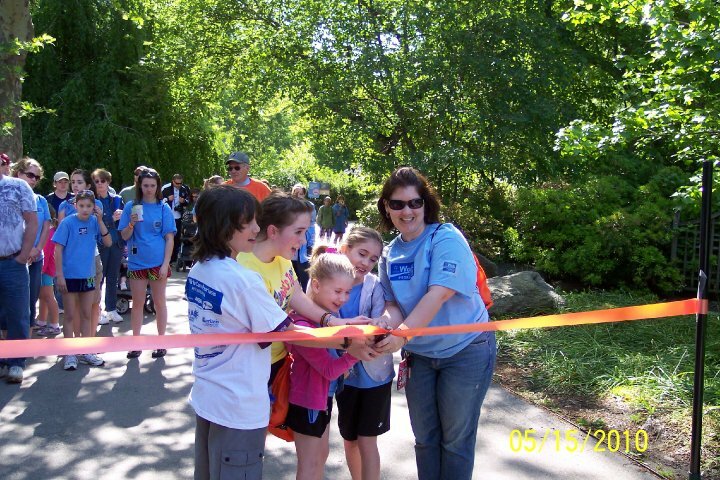 The 2014 Walk to Cure Psoriasis will be held on Saturday April 12 at the Philadelphia Zoo. For more information or to donate to Team PsorSisters click here. 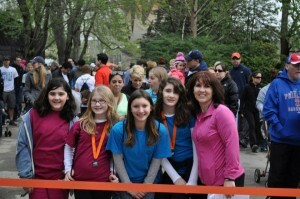 This year the Walk to Cure Psoriasis will be on April 20 at the Philadelphia Zoo. We are very excited to say that the event will be bigger and better than ever! This year Morning DJ Preston Elliot will Emcee the event! 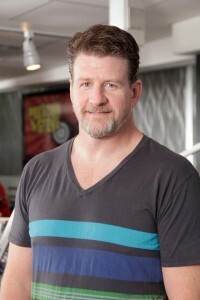 Preston Elliot is cohost of The Preston & Steve Show on 93.3 WMMR , Philadelphia’s number one rated morning show. He is a husband and father of three children and also has psoriasis. 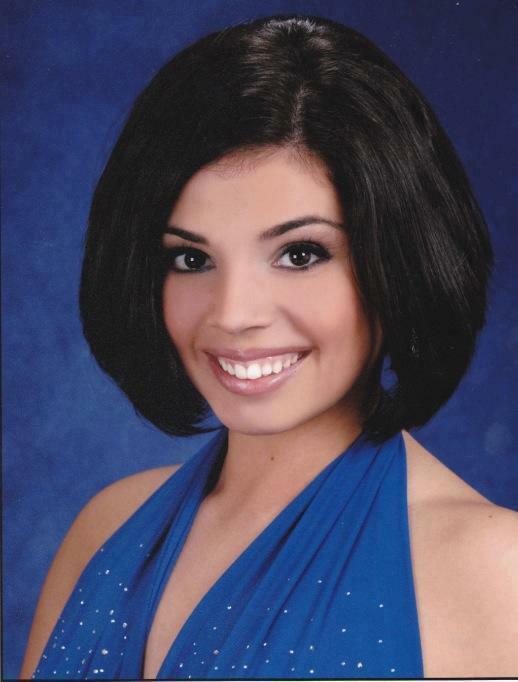 Mrs. Philadelphia International 2013, Teena Handline will also be joining us. A few of Teena’s closest friends and their children have psoriasis and is so excited to support our event! This year the walk will feature the Psoriasis and Psoriatic Arthritis Health Fair, where walkers can find out more about research, treatment options and products to help treat their Psoraisis symptoms. The gates open at 8:30 and the walk starts at 9:30! Please visit this link to join us at this important event! Team PsorSisters – Walk to Cure Psoriasis in Philadelphia! Once again we are getting ready for the Walk to Cure Psoriasis in Philadelphia. The girls are both excited to be the walk ambassadors once again and to help raise awareness for this disease. The walk raises funds for research, advocacy and educational programs that help the nearly 7.5 million Americans living with Psoriasis and Psoriatic Arthritis. Katelyn is especially excited, as the walk lands on her birthday weekend. Katelyn has asked to celebrate her birthday at the walk and I would love to make that wish come true. As a mom I am really touched that a (soon to be) 12 year old would be so determined to get as many people as she can to the event and to collect donations in place of gifts! 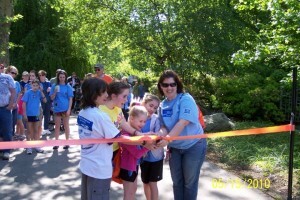 The Philadelphia Walk To Cure Psoriasis is held each year at the Philadelphia Zoo. This years walk is being help on Saturday April 21. Please take a look at our walk site and consider joining our team or donating by clicking THIS LINK! We ended the summer with our yearly trip to Knoebels Amusement Resort. We have been traveling to Knoebels for 11 years, bringing friends or family with us each time. We love it there! We were safely in our caravan of 3 cars, 6 Adults and 6 children when we got news that there was an Earth Quake here on the East Coast. That seemed to have started our crazy weather here. Over the next few weeks we would add Hurricanes, Tornado’s and massive flooding to the end of summer festivities. What a crazy ending to a great trip. 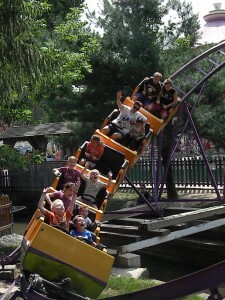 Sadly, Knoebels was devastated by the latest flood but will bounce back, making next years trip even more meaningful! I can’t believe that I now have a child in Middle School! I am so excited for her but really don’t feel it can be possible. Moving on to Middle School means a whole new school and lost more friends. For a “Tween” with Psoriasis, I assumed this new environment would be good. Katelyn has been in remission (other than her scalp) and doing really well. I was picturing a blank slate … Katelyn wasn’t. The anxiety of starting Middle School was that her new teachers wouldn’t know about her psoriasis. I think she always felt safe with those who knew and could understand when she was feeling self conscious or having discomfort. 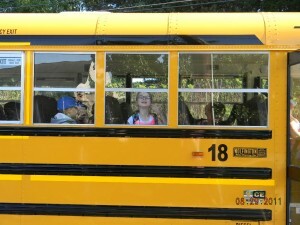 Middle School is such a delicate time for a little girl – maybe I am more nervous than excited now! For Carly, she’s such a big girl in 3rd Grade. In our school 3rd grade opens you up to activities and playing instruments. I now have two violinists in the family! Carly absolutely LOVES her new teacher and has been keepingme busy with her many activities. Before the weather gets too cold here on the East Coast, we are planning one last trip. We plan to meet another Psoriasis Family at the Philadelphia Zoo in just a few weeks. I am very excited to meet them but even more excited for the girls to meet them. Kids always find such comfort in those they can relate to! As summer continues, the girls are doing wonderful! Right now we are enjoying a few small trips before heading back to school at the end of the month. These little trips are a real danger for us. No, not because kids can be accident prone (which is a whole other issue) but because the sun and sand poses such a threat to our clear skin. We are always trying to stay safe in the sun, but we realize it’s not always possible. SPF 50 sunscreen, Rash Guards, Hats … by the time we suit up for the beach, I am exhausted! But with all this, there is inevitably some piece of skin I miss. Last year it was that strip across Carlys back as she leaned over playing in the sand. The sunburn that resulted from that unprotected strip of skin turned to a strip of Psoriasis in a really uncomfortable spot. The Koebner Effect; that strip lasted a year before finally fading. The Koebner Effect is when trauma to the skin causes lesions to develop. Even with the girls doing so well, I cringe with each scrape or the slightest kiss of sun. These inocent facts of life could suddenly change everything, just as Strep triggered it all just a few years ago. This year it’s the top of her ears that poked out from her hat…. and I wait to see what comes of that kiss of sun. Short of putting my kids in a bubble, I realize I can’t dwell on the past or control the future. I can just be aware and love every inch of my beautiful girls! Sometimes when you are behind, the best way to catch up is to start right where you are. 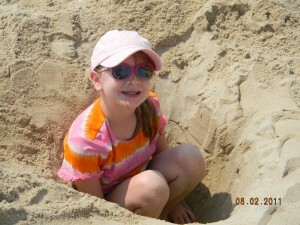 We started this website to share the girls story and help promote awareness for Psoariasis and Psoriatic arthritis but so much has changed since their diagnosis in 2007. In time I will update their story but for now, I want to share where we are today. Today I picked the girls up from Dragonfly Forest, a nonprofit camp for children with serious illness and chronic disorders. Dragonfly is more than a camp, it is a feeling and a family. As a mom, I get emotional thinking about the people and the experience of Dragonfly. I am not sure I have the words to accurately explain the gift they are in our lives. Katelyn started attending Dragonfly 5 years ago. It was then that she returned from Dragonfly with the spot on her leg which we thought was a mosquito bite. Seeing a picture of Katelyn from Dragonfly 2007 brought back the memory of that summer and the trying months that followed. That “mosquito bite” was the beginning of our journey with Psoriasis. I am always asked how I deal with not one, but two children with Psoriasis. As I have heard many parents of chronically ill children say, you don’t have a choice – you just do it. Methotrexate and the many injectable medications used to treat Psoriasis are scary drugs with nasty side effects. We were lucky and did not let it get us down. Whatever the girls were up for, we did. When they were tired or sore, we slowed down but we never gave up. Dragonfly is a lot like our journey with Psoriasis: I am pretty sure the words No or CAN’T are not in the Dragonfly vocabulary and that was our attitude when the girls received their injections. I am not discounting the terrible side effects and difficulty of these diseases, I’m just saying it is a state of mind and an attitude. It’s how you deal with whatever life throws you. I think this great video from Dragonfly says it all! 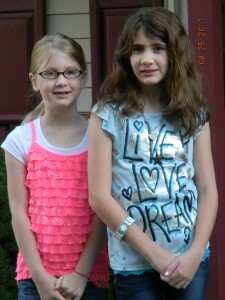 The girls were 7 and 5 when Psoriasis entered our lives. I thought it was a small red bug bite on Katelyn’s leg when she returned from summer camp. Over the next few months she had more “Spots” and her sister began to develop them as well. We spent months searching for answers and nothing really made sense. Why did they both have these spots? Was it contagious? Why didn’t I have any “spots”? We tried creams, Allergists, Dermatologists and of course our pediatrician. People stared, we cried and I struggled with so many different feelings. We had parents questioning our attendance at school and spent months on a strict gluten free diet. By December it was obvious that Carly was now much worse than Katelyn. The lesions covered her entire body, her ears were covered inside and out and her scalp was covered by THICK lesions. The daily bumps and bruises of childhood led to pain and bleeding. Emotionally this was tough for everyone! We found a great Dermatologist who diagnosed Strep and explained how Psoriasis is most commonly triggered by Strep(Stress and Injury are two other triggers). I have to be honest, I thought Psoriasis was just dry skin. Our Dr. did a biopsy on Carly’s spots and prescribed UV treatment three times a week for three months for both of my children. We also began trying tons of different topical medications. Nothing was helping. Both girls were treated for strep on several occasions and in February we thought the UV Treatments were helping. Suddenly they were worse! When everything else failed, we decided to take things to the next level. Our Dr. called some colleagues and we soon received a call from Children’s Hospital of Philadelphia (CHOP), who wanted to see both girls right away. By the time our appointment arrived, Carly was showing signs of Psoratic Arthritis. Our appointment was on a Friday, it was rather intense and we left with several medication options. These were not nice options. They are serious drugs with serious side effects. We were sent home with the information needed to make an informed decision. We spent the weekend researching the medications and decided to begin Methotrexate (MTX) Injections right away. Of course right away meant a few weeks .. however long it would take for the physicals and blood work to get a baseline for monitoring. Our first injection for Carly was in the Pediatricians office. I didn’t think I would ever be able to do it alone. She was wiped out after that injection. Just not herself and she was tired. Our next injection was at home and went rather well. I felt better having her home and away from the stress of knowing she was going to the Dr’s office for a shot. I think that stress is what made her so tired. Our next hurdle was when Carly started loosing her hair and Katelyn was becoming very self-conscious and withdrew. We decided to start Katelyn on MTX for concern for her emotional health and a fear she would worsen. Carly was soon fitted for a wig and before we knew it school was out for the summer. The girls are finally clear and we have seen few side effects. and no complaints of sore joints. On Sunday we go to Ocean City for Three days, then Friday we head to Washington, DC. We are going to tour the White House and participate in the Walk To Cure Psoriasis. Last week we went back to CHOP. The girls will continue another 5 or more months on the Methotrexate but are clearing up well. Carly’s hair is starting to grow back too! I can’t wait until it is nice and long for her! How do you put a Wig in a Bun? It’s recital week! Carly wants to wear her wig but how do you put a wig in a bun and have it stay on? She will be devastated if she can’t look like the other girls! She wants her hair up in a bun so bad. I hope we get through this recital ok. She is so excited, she was up at 6 am and ready to go. Unfortunately, I was running late – waiting for the plumber to arrive. Carly missed rehearsal but made it just in time for pictures. Katelyn isn’t responding to the methotrexate. She is withdrawing and really believes no other kids have psoriasis.